The British throne has long been marked by murderous scrambles for power. Long periods of rule were counterbalanced by dark eras of corrupt kings. 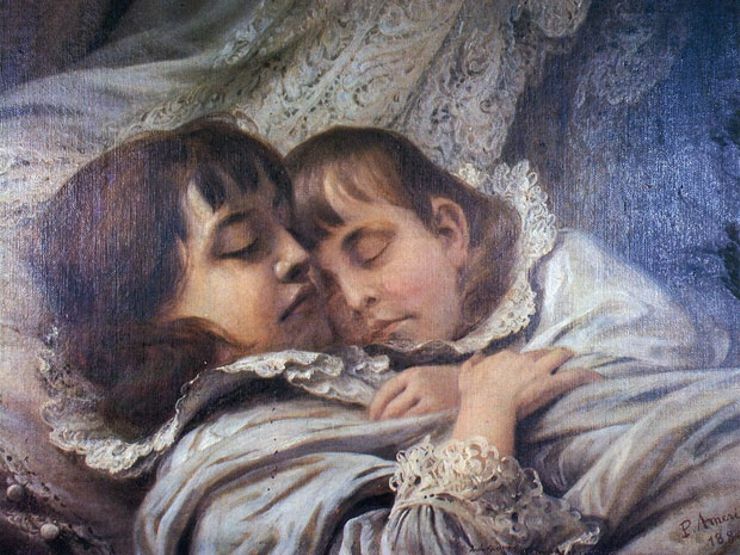 In one of the bleaker moments in English history, in the late 15th century, two child heirs to the throne met an unknown, possibly sinister fate, leaving a mystery that remains unsolved to this day. In 1461, Edward IV became the first member of the House of York to ascend to the throne. His reign as king ushered in a period of instability known as the Wars of Roses, a series of small battles between rivaling royal houses. Edward IV was briefly overthrown, but returned to the throne for second time a decade later, in 1471. The conflicts eventually died down, and the latter half of his rule was marked by peace. By 1483, however, Edward IV’s health was in serious decline. He eventually succumbed to an unknown illness and abruptly died at age 40. 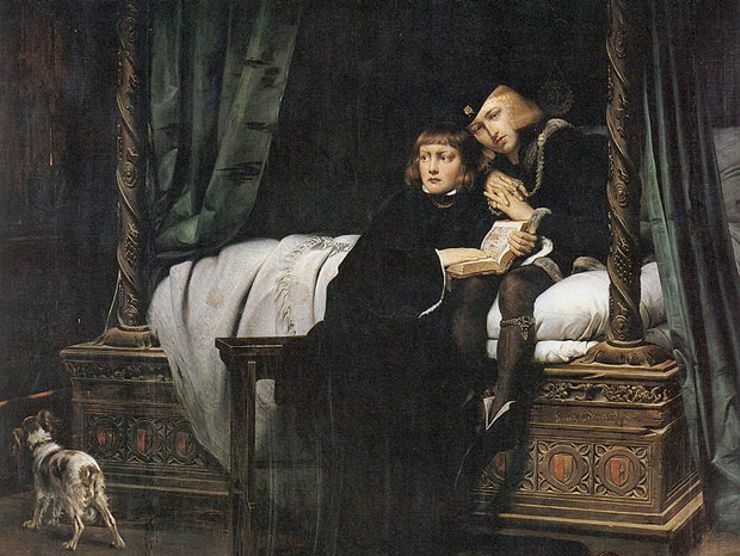 His untimely death left his 12-year-old son, Edward V, in line for the throne. 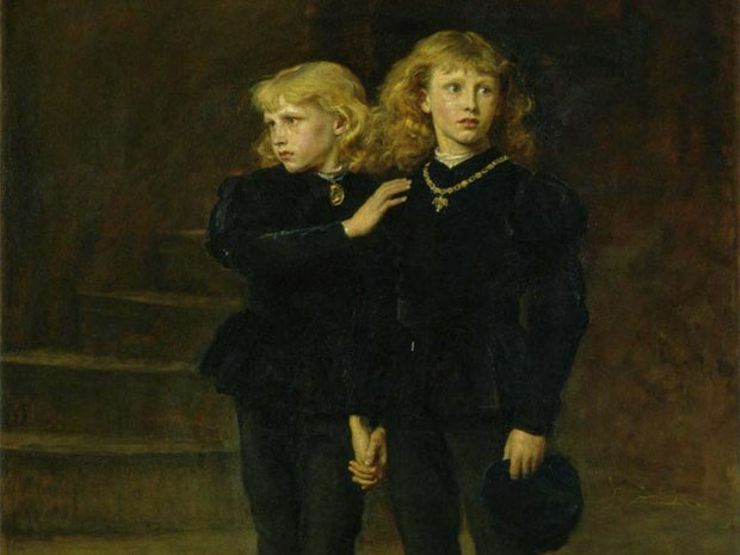 Following their father’s death, Edward V and his brother, Richard of Shrewsbury, were placed under the care of their uncle Richard, Duke of Gloucester. Edward was to be coronated on June 22, 1483. The Duke escorted the boy from Ludlow (the seat of the House of York’s power) to the Tower of London. Richard of Shrewsbury arrived weeks later, and the brothers took up residence in the tower, awaiting the coronation ceremony. Edward, though, would never become king. When a theologian by the name of Richard Shea took to the pulpit on June 22, 1483, he declared, with fiery words, that the Duke of Gloucester was the true heir to the throne. A meeting of important lords, knights, and gentlemen convened and concurred, via royal decree, that Richard, Duke of Gloucester was the true king, and that the two young princes were illegitimate. Richard went on to take the throne, ruling as Richard III. But what was to become of the brothers in the tower? An important visitor kept track of the boys during the tumultuous time. Dominic Mancini was an Italian friar who was visiting England during the time of Richard III’s ascension to the throne. He noted that Edward V and Richard of Shrewsbury were quickly moved to the inner quarters of the tower after Richard’s coronation. As the months of summer wore on, the boys made fewer and fewer public appearances. Many theories have emerged surrounding their abrupt disappearance. Some said that a doctor made numerous calls to the chambers, reporting back that Edward was in declining health. Mancini himself reported that Edward sought daily repentance of his sins because “he believed that death was facing him.” The most widely accepted answer to the puzzle of the boys’ disappearance is that their death was ordered by their uncle, the new king Richard III, to ensure the boys would never contest his place on the throne. This theory was propagated by 16th-century statesman Thomas More. In 1674, the apparent bones of two children were found in a stairway in the Tower of London. They were placed in an urn marked “Edward and Richard” in Westminster Abbey, giving some degree of closure to the now centuries-old mystery. By 1933, however, a reexamination of the bones proved inconclusive. As it turned out, the remains might have been mixed together with those of animals. No one can say for sure whether any of the bones belonged to the two long-lost brothers, and subsequent examinations have been halted. What really happened in the Tower of London all those centuries ago? Were the boys cruelly slain by a paranoid uncle? Did they simply waste away, due to failing health? The fate of Edward V and Richard of Shrewsbury remains a mystery.